Add a statement to your bedroom with the Cadot Rosa Fabric Bed. 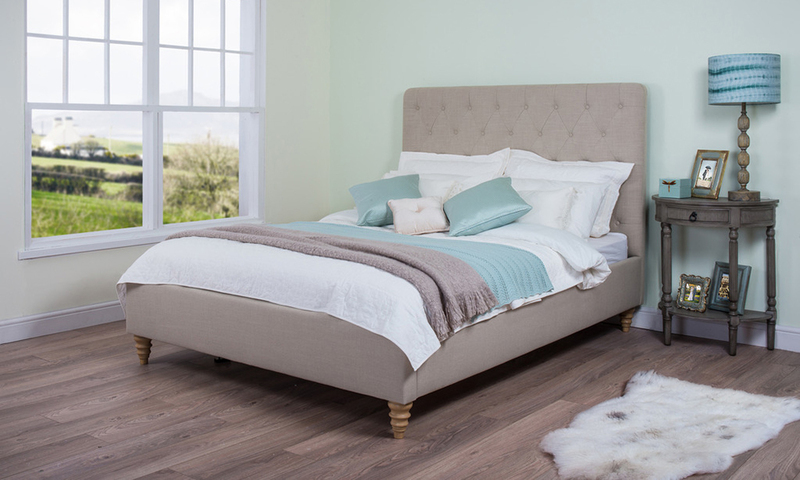 Complete with a button detailed headboard, turned wooden feet and sprung slats, this bed offers wonderful style and support. Finished in a gorgeous beige linen-effect fabric, this is an eye-catching centrepiece worthy of any bedroom.